Well when you are given a free cruise to Mexico you gotta say yes, right? I did, and it was a blast. I had the time of my life cruisin' around the gulf of Mexico and visiting Cozumel and Costa Maya was a blast. I had the time of my life relaxing by the beaches and enjoying the on board activities was great too. I loved being able to eat 24 hours a day while on the ship for FREE, that was the best part. I got to do a lot of interesting things while in Mexico that I couldn't do anywhere else. I snorkeled by the reefs and learned a lot about the water and the fish that inhabit it. 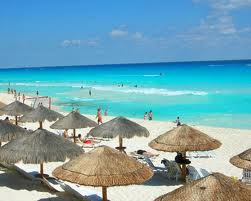 If you are a water enthusiest or just a nature freak you will love Mexico. It is a beautiful view that is purely relaxing. I got to spend a lot of time with my girl and we had a blast. We both got our tan on and enjoyed some pool side drinks and great mexican food. I was actually dissapointed in the Mexican food there. I thought "authentic" mexican food would be much better, but I was suprised to find out that the Mexican food in Florida was much better. The only thing that was amazing there was the salsa. So Mexican salsa is much better than that in the states. I enjoyed cold Mexican beer for only 1 dollar whenever I wanted. I tried out this Mexican brand that had a rich almondy flavor with a smooth after taste and was a dark lager. I loved this beer and had a few too many. It's great to be able to buy a huge bottle of tequila for a mere 6 dollars. I did and brought it back as a souvenier. I look forward to tasting it one day as well. The people in Mexico thrive off the tourists and make their money by agitating you and trying to get you to buy all their products. You will be suprised how little the people there have, yet they are happy just to be working. Many shops there sold very cheap apparel and gifts that you would love. While hanging out on deck on the ship there were a lot of grenades that were straight beast mode, so you had to watch out up there. Of course, i got my tan and gym on, while on board and did my thing. Anyone looking to go to Mexico should take Spinderella's advice and sip some margaritas and kiss on the senoritas.